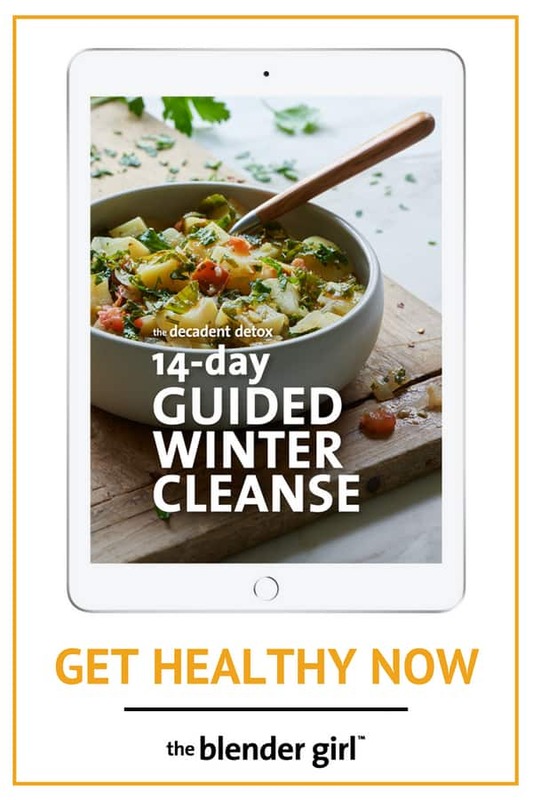 This 14 day detox master Winter cleanse diet has a fourteen day menu of the best gluten-free, vegan, and grain-free recipes for the best 2 weeks cleanse with green smoothies, juices, salads, soups, dinners, and desserts to detox your body, aid weight loss, and get healthy! 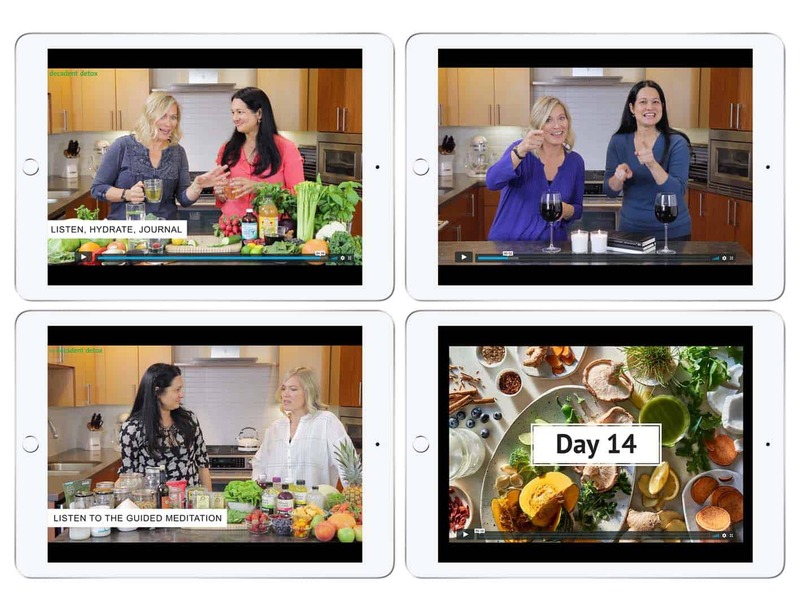 Our 14 day detox, including a 3-day juice cleanse in the middle of the two week cleanse is the best way to reboot your health in a delicious and fun way. 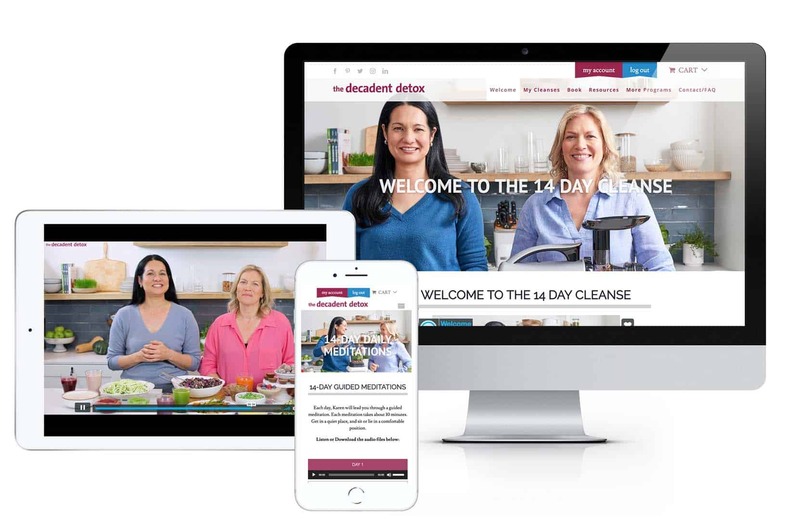 Our live guided 14 day cleanse includes comprehensive information on the benefits of cleansing, daily emails and video support calls about how to juice cleanse for 3 days, a 2 week menu of delicious juice cleanse recipes and and healthy vegan recipes. Our cleanse program helps you transition into and out of a juice fast in the best way for incredible results. Read and watch the testimonials from our previous participants. Why is a 14 day detox with juicing beneficial? Should you do a 2 week cleanse? 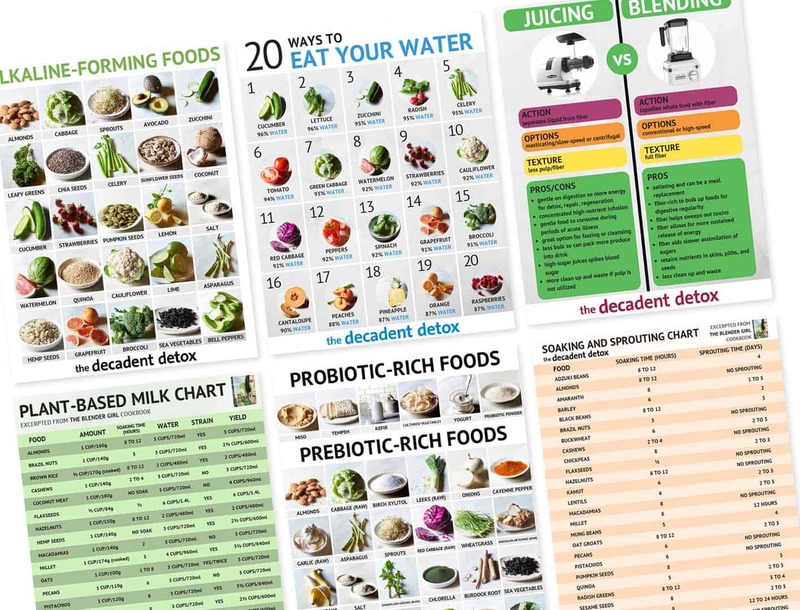 When should you do a 14 day juice cleanse? To achieve optimal wellness and stay healthy and strong we need to actively cleanse our bodies with clean eating and exercise. Skeptics argue that our bodies know how to do for themselves. And yes, the liver, skin, intestinal tract, and kidneys all operate as major organs of elimination to remove toxins from the body continuously. So, if all we need to do is to just let the body cleanse itself without any support, why is there so much disease? We need to nourish our bodies with clean healthy foods and exercise to keep the lymphatic system moving toxins. 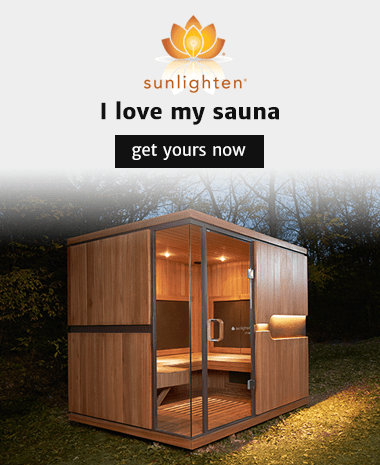 If we support the body’s natural detox mechanisms with mindful lifestyle choices we can keep the major protective players (the liver, skin, intestinal tract, and kidneys) all working at peak performance to combat the barrage of toxins that are coming at us every day through our environment and lifestyle choices. Two weeks of clean eating helps to free our bodies from the overload of toxins and waste products that accumulate in our bodies. Then, we can get our detox organs functioning as efficiently as they can for optimal health. 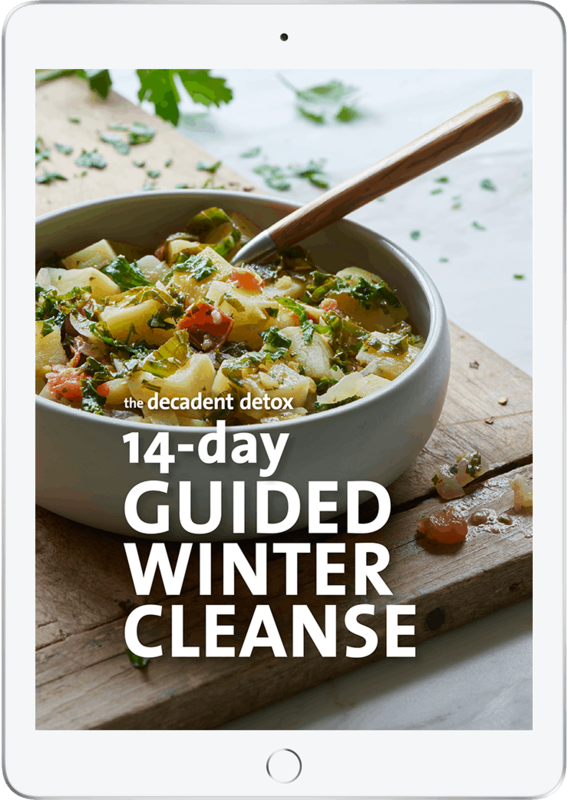 A 14-day cleanse is a fantastic reboot. In addition to clearing toxicity, the body needs a rest from digesting processed, concentrated, and solid foods. The average person expends between 50 to 70% of his or her daily energy ration on digesting food. During the juice fast portion of the two-week cleanse you give yourself a break from non-stop digestion, and your body can devote a greater share of energy to detoxification, healing, and repair. Our 14 day detox can help you feel amazing. When you feel great you can achieve more and enjoy your life. 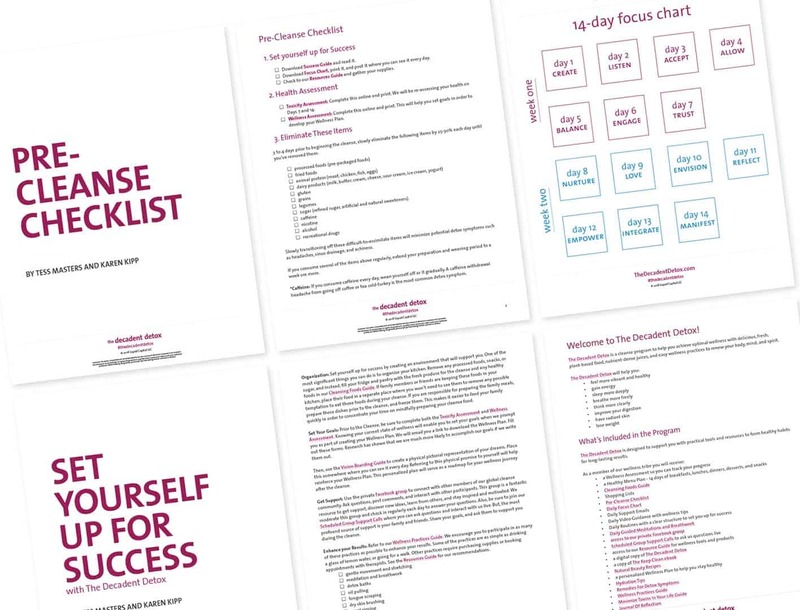 Before you begin our 14 day cleanse, it’s important to gauge your state of health. 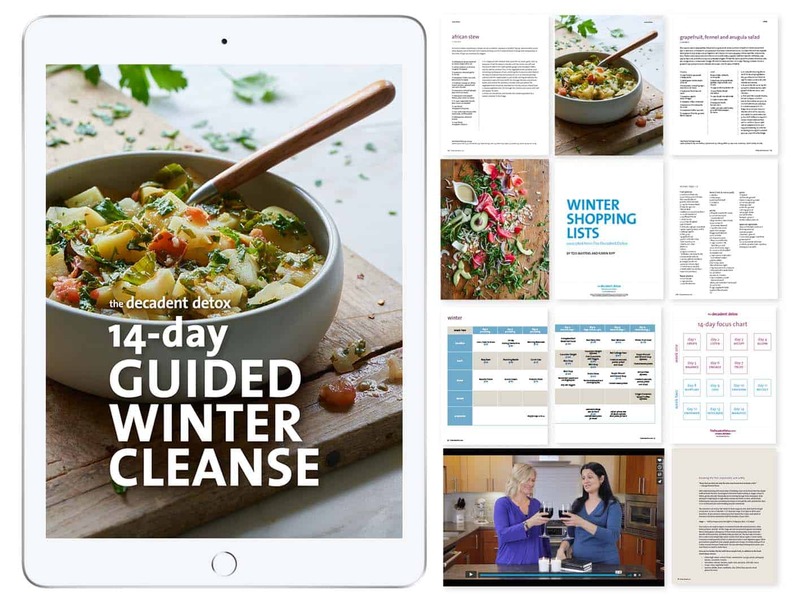 This will give you a good point of reference, track your progress, and take care of yourself during the cleanse. Take note of how you feel before the detox process, and then compare that to how you feel during and after the two-week cleanse. Clean eating and giving the body a brief rest from solid food and nurturing it with easily digested, nutrient-dense juices is an incredible healing practice. 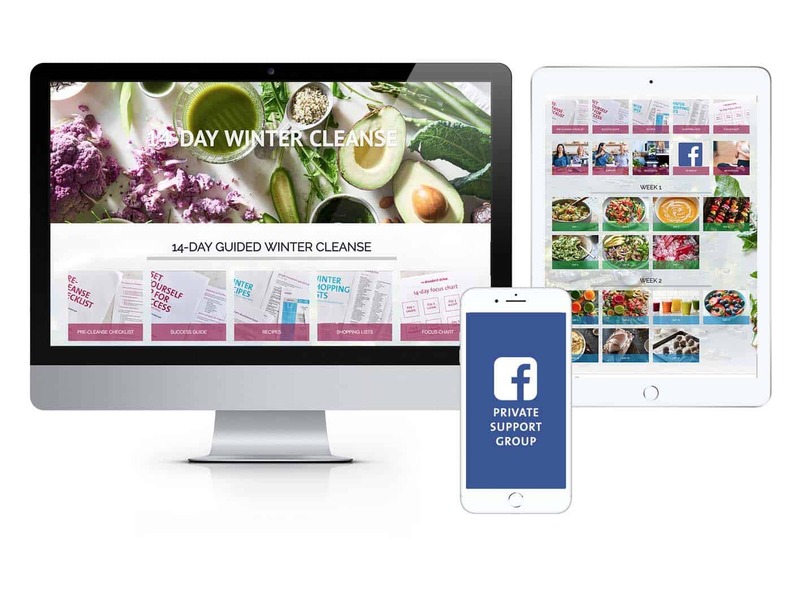 We’ve both been juice cleansing and juice fasting for over 20 years, and for the last five years, we’ve thousands of people through our 14 day detox and witnessed incredible results. Listen to the testimonials from our participants. 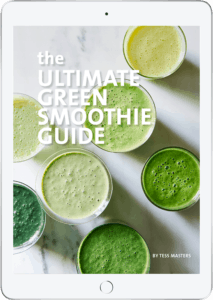 We recommend a 14-day detox with a juice fast at the change of each season, so we’ve developed four specific programs using seasonal produce for summer, fall, winter, and spring. Foods harvested in the spring, like asparagus and greens, promote detoxification after winter; while foods grown in the summer, like berries, melon and cucumber, help to cool our bodies and keep us hydrated. In the colder months, warming root vegetables help to strengthen and sustain the body. 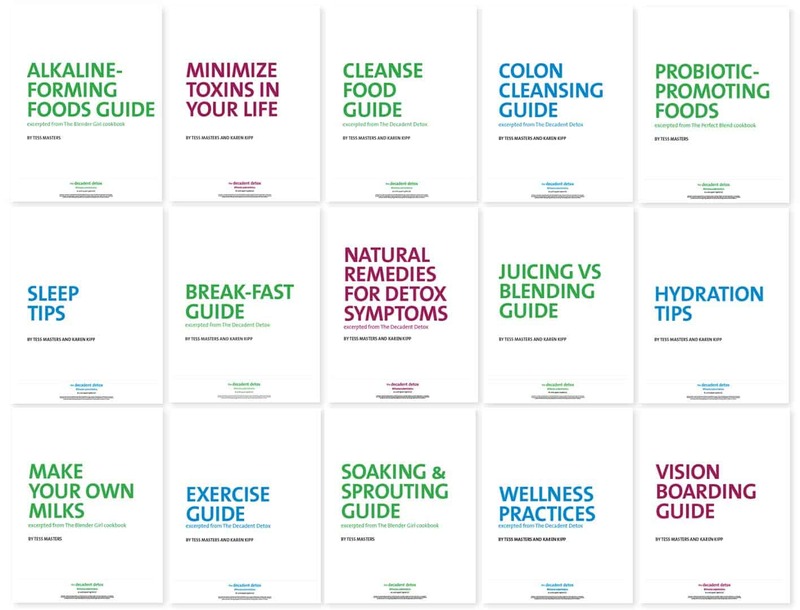 Wellness Practices Guides for Hydration, Sleep, Exercise, Meal Prep, Juices, and Smoothies, Alkaline Foods, Probiotic-Promoting Foods, Soaking, and Sprouting, Nut Milks, Colon Cleansing, Managing Detox Symptoms, Minimizing Toxins. 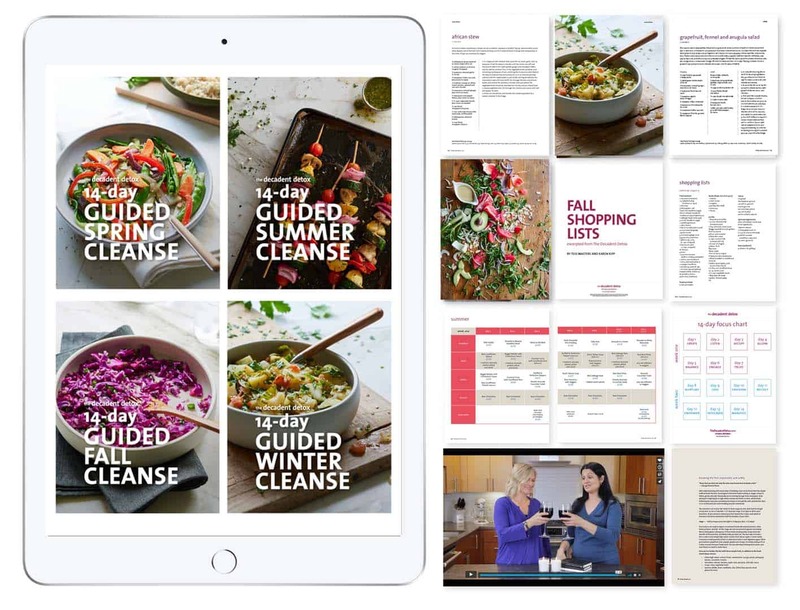 Look at the Cleanse Schedule to see when the next guided experience starts. This may be your first time doing a 2 week cleanse, or you may have done a juice cleanse or juice fast with us before, or tried a cleanse with juicing elsewhere. Whether you’re here to initiate or expand on your juicing practice, we welcome your participation in our 14 day cleanses. Join us now and get healthy! 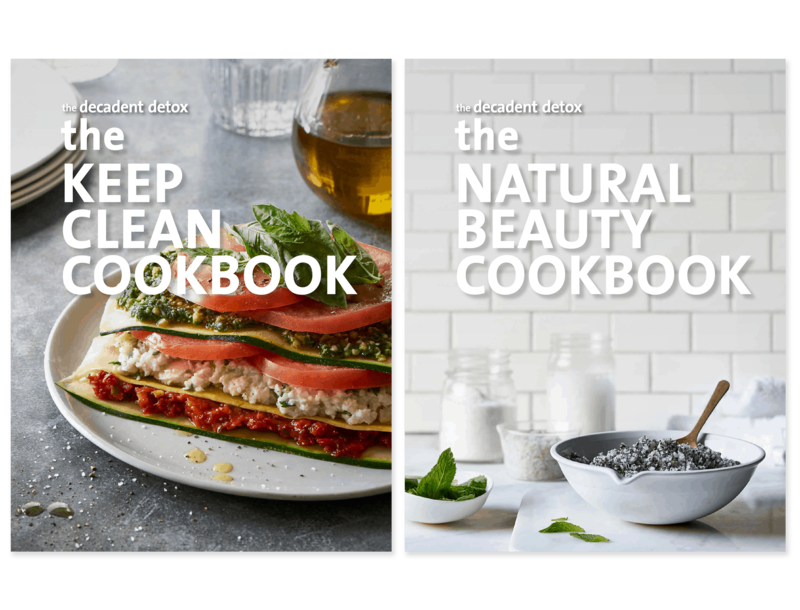 The authors and publisher will not be held liable for the use or misuse of information in The Decadent Detox 14 Day Cleanses. The information shared here and in our juice cleanse programs does not replace the guidance of a qualified medical practitioner.